Construction of The Palm House, BIG4 Adventure Whitsunday Resort's new multi-purpose function venue, is set to officially open in mid-2014 and will cater for up to 200 delegates theatre-style. 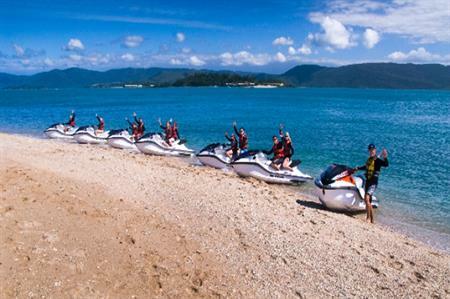 A host of incentive activities are also availabile in the Whitsundays, where delegates can enjoy new jetski tours and ocean rafting provided by Whitsunday Jet Ski Tours. With a total of four vessels, fleets can offer flexible private charter options for groups of 10 to 110 people. Each tour offers an exhilarating ride to Whitehaven Beach. Delegates can also go snorkelling in the pristine reef and take guided National Park walks.